Hard Coffee Throwdown ~ July 26th! It’s no secret that I am a HUGE fan of the local coffee scene. I also love attending latte art throwdowns to witness the friendly competition between local baristas. 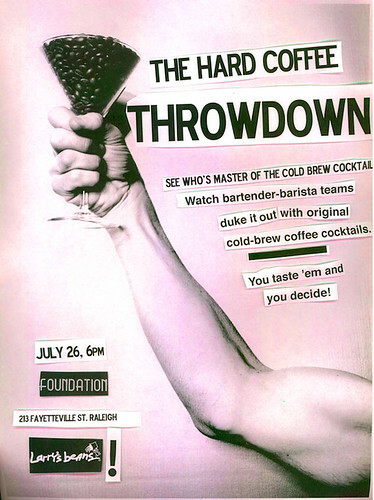 Now Larry’s Beans Coffee and the Foundation bar in downtown Raleigh have taken things one exciting step further and have teamed up to host “The Hard Coffee Throwdown” Friday July 26th. 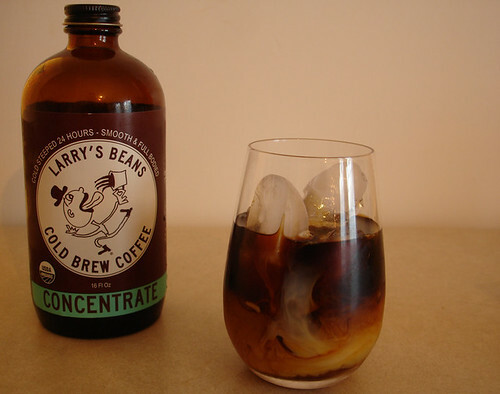 The event will feature Larry’s Beans own cold brew coffee and attendees will watch bartender-barista teams duke it out with original cold-brew coffee cocktails. You taste ’em and YOU decide!! Where: Foundation, 213 Fayetteville St. Raleigh. Kris – Hope to see you there. I think it is going to be a ton of fun!